At the heart of the U3A are its interest groups. Interest groups are organised and run by members with a common interest who want to play and learn together. Groups usually have a leader who arranges the venue, day and time of the meetings mutually agreeable to members of the group, organising a group isn't necessarily the responsibility of one person, 2 or 3 people working together can help with the smooth running of a group. You need to be a member of the Forest Town & District U3A to join a group. 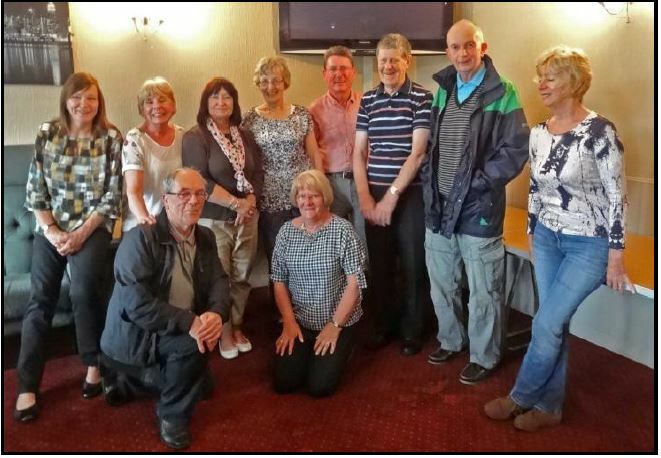 We have reciprocal arrangement with members of the North Notts Neighbourhood group of U3A's to allow their members to join our groups and vice versa, see the General News page. A reminder - Annual General Meeting on Thursday June 6th. After the AGM Group Leaders are encouraged to show members what your Interest Group does. This information can take any form. Actual items made, painted, etc. Photographs and reports. After the AGM if Group Leaders, or a representative of the Interest Group, could be near the display so any queries could be answered and perhaps generate some interest to join. A form for members to add their name and contact number/email will be available. There are 6 large tables and 12 small tables for displays. 14th,October 2019 is the next Group Leaders meeting at the Arena at 10am. If possible could every group have a representative attend the meeting? Registers are also required to be handed over to the Treasurer. NOTICE FOR GROUP LEADERS - U3A-Grouptalk. As an aid to group leaders and U3A members organising specialist speakers and visits, an online forum has been created. other U3As. From Bird Watching, through History to Science and Technology and Engineering, there are many groups where visits and specialist speakers really make the difference. The ability to learn from other similar groups helps all of us to enrich our U3A experience. - The forum is built in Google Groups and is very easy to set up and use. Click on this link to go to forum: Group Talk You will need to create an account to participate in this forum. See the group pages for more information. These new groups take our total number of activities to 29. We are always looking for ideas for new groups, if you have an interest or hobby you would like to share with others please contact Groups co-ordinator Ann or Asst.Groups co-ordinator Steve who will be willing to help you. Current Affairs - there is a waiting list for this group, if anyone would like to start a new Current Affairs group please contact Groups co-ordinator Ann or Asst.Groups co-ordinator Steve. Wine tasting, Classical music, Walking with a dog. Group Attendance Register Non-Finance For groups who meet in people's homes or free venues and no money is collected. Group Attendance Register - Finance For groups who collect money for hall hire or equipment. Click on the register appropriate for your group to download copies. The U3A Sources Magazine, which you receive with the TAM magazine now has a website full of interesting articles from U3A’s. Have you or your group got an article or story to tell for the magazine? Click on ‘Submit a Story’ at the top right of the Sources home screen to submit it. Forest Town & District U3A Membership. Our current total membership is 257. 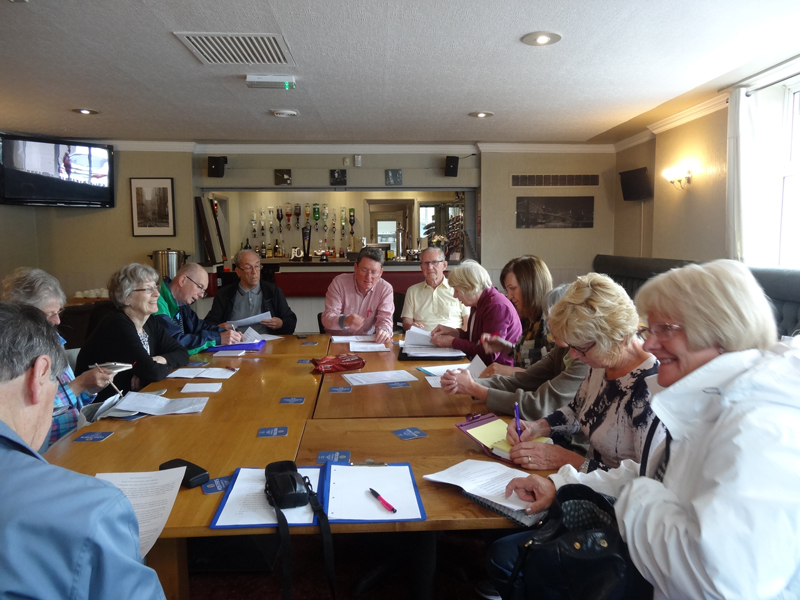 We have 29 interest groups with new groups being formed, if you have an idea for a new group please contact the Groups co-ordinator Ann or the Asst.Groups co-ordinator Steve who will be happy to help you. See our interactive Calendar for an overall view of General and Group meetings. Classic Vehicles is now going! Meeting in the main Lounge, Arena, 4th Wednesday 2-4pm. Tai Chi - Feel better emotionally & physically with Tai Chi Movements for Wellbeing. Poetry & Play Reading Find the inner actor in yourself. Short Walks, will involve moderate walks about 3-5 miles, commencing in April with Marilyn Redfern taking the lead; Marilyn would like an assistant to help organise the walks. The initial meeting for this group was held on Monday 5th February at the Forest Town Arena for interested members to finalise plans. Future meetings will be on the 4th Thursday of the month and meet at various venues, proposed time 6.30pm for 7pm. start, the group will be led by Jane Atkins with Marilyn assisting. The first visit is to Mr.Straw's House, Worksop, we are looking for someone to facilitate this group. It doesn’t have to be an onerous task and if a couple of members do it together, it is so much easier. To join any of our groups please contact Groups co-ordinator Ann or Asst.Groups co-ordinator Steve. or look for the Groups co-ordinators board at the General Meetings in St.Alban's Church, Forest Town and put your name on the Group membership form or contact the group leader via the Group webpage. We are always looking for ideas and leaders for an interest group or activity, if you have an idea for a group or activity contact the Groups co-ordinator, or if can't find a group of your choice why not start an interest group yourself the Groups co-ordinator will be happy to help you. 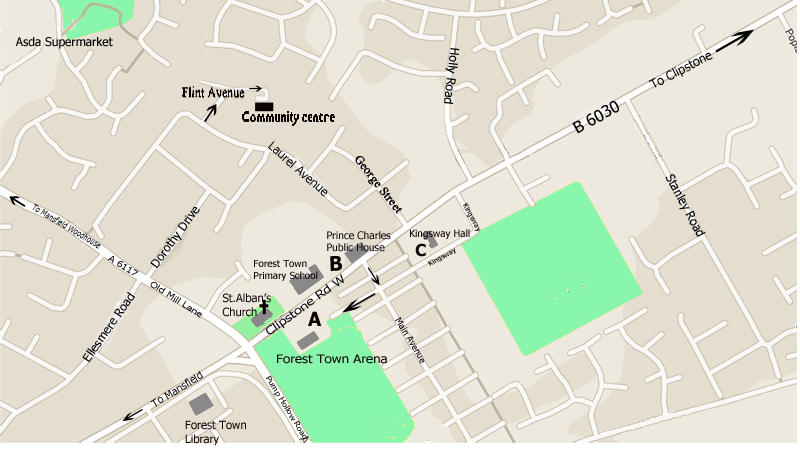 and the Sherwood Centre, Stuart Avenue, Forest Town, click on the maps to see a larger image. < Flint Avenue Centre, Flint Avenue, Forest Town. < Sherwood Centre, Stuart Avenue, Forest Town. By including photographs in our newsletter and on our web site, we believe this helps to illustrate the warmth, friendliness and activities of our U3A, and its associated groups. If you do not want your photograph to appear on this web site or in the newsletter and display boards at our meetings please tell the person taking the photo or turn away from the camera. Interest groups are self managed and self funded. They draw upon the knowledge, skills and experience of their members to prepare and deliver a yearly programme for their group. The range of interests is very wide: art and music, both practical and appreciation, foreign languages, literature and poetry, creative writing, science and technology, history, both local and national, gardening, walking, computing, craft, card and board games, cycling, dancing of all sorts, bowling and genealogy to name but some. See our interactive Calendar for the dates of future Group meetings. The titles of the groups below are 'active' please click on one to view the group page. 3rd. Monday at 2 pm.